Today is Earth Day, April 22, and serious new regulations from the Environmental Protection Agency take effect that impact renovation on older homes that have or might have lead paint. Lead based paint was used extensively in homes up through the first half of the 20th century but was banned in residences in 1978 due to serious health problems. that warns about the dangers of lead paint and outlines appropriate precautions. The dangers here are real and serious, especially to children under six years old. The problems include: brain damage, learning disabilities, behavior problems, and lung damage. Lead paint dust can affect adults as well; it is a significant cause of miscarriages, premature births, nerve disorders, etc. So any contractor who disturbs a small area in your home that may have lead paint must take significant precautions to control dust and debris. The standard here is stringent: disturbing painted surfaces more than six square feet inside or twenty square feet outside or replacing any window all fall under the new rules. 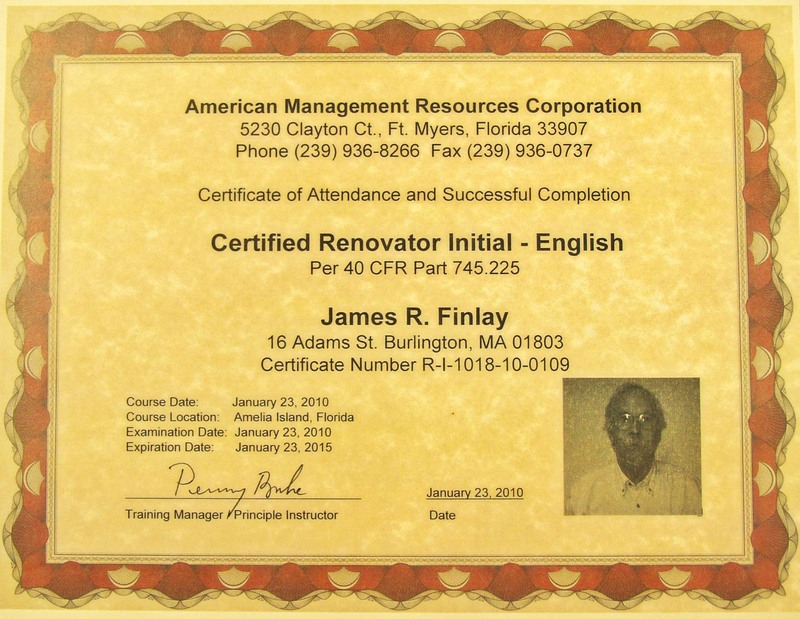 In addition, any contractor doing such work must be properly trained and his company must be certified by the EPA. What should you do, then, as a homeowner and parent of a young child? Although the EPA rules do not apply to homeowners working on their own homes, do not attempt such renovations yourself. 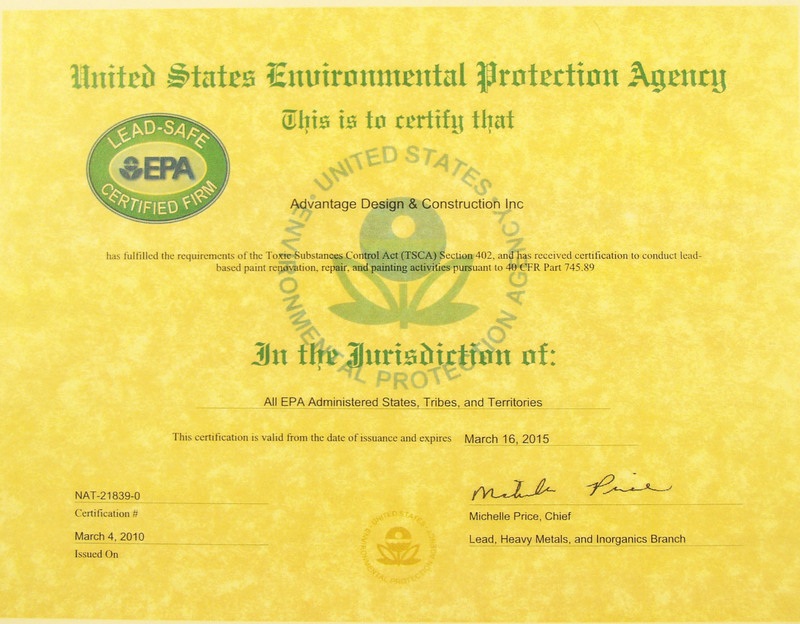 A signed certificate from the EPA certifying that the company has fulfilled the requirements of the Toxic Substances Control Act Section 402 and is certified to conduct lead-based renovation. 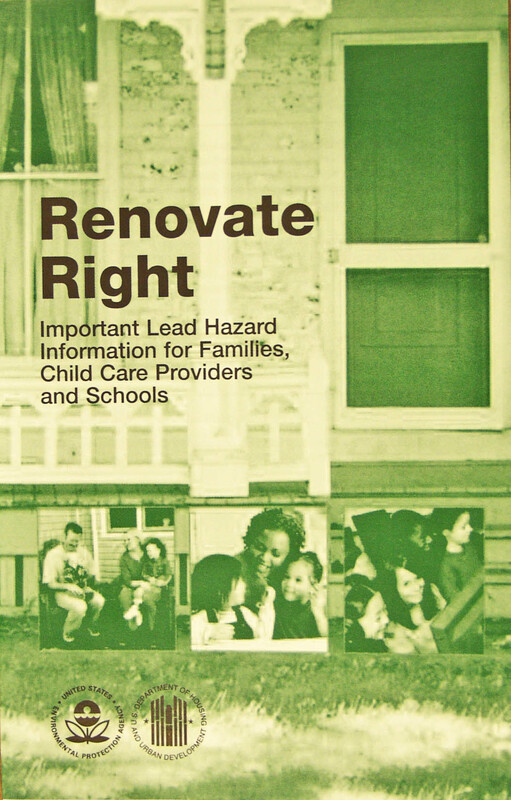 The EPA allows sates to administer and enforce the lead paint RRP program directly. States that do so — and issue their own contractor certifications — include: Massachusetts, Rhode Island, Wisconsin, Iowa, North Carolina, and Kansas. You will find a full list here. We at Archadeck of Suburban Boston offer professional design and build services for clients west and north of Boston. Over the past 26 years we have designed and built over 950 projects. We have enhanced the depth of our expertise by limiting our work to decks, porches, and sunrooms. To view some of these projects, visit our website. To learn how we treat our clients, check on us at Angie’s List or read a recent article about us in Remodeling Magazine.For a free design consultation and a relaxed and rewarding design and construction experience, contact us via e-mail, subboston@archadeck.net or by phone, 781-273-3500. © 2010 Advantage Design & Constr., Inc.
PreviousLow Maintenance Wood for your deck? Really? If I am replacing let say, a deck or windows, and they have lead paint, can the debris be discarded with all the other construction debris? Surprisingly, the EPA categorizes lead paint debris as normal “household waste.” It must be put in a plastic bag, the bag sealed, and then the outside of the bag must be cleaned with a HEPA vacuum to ensure it is free of lead dust. Your contractor will then remove the bag and dispose of it with other construction waste. So clearly, your lead paint construction debris must either fit in a plastic bag or, if large, be wrapped and sealed with plastic. It is unlikely, but possible, that a deck was painted with lead paint — since paint is never a good idea for a deck (stain is better), and since lead paint was phased out in the 1970’s, just as decks were becoming popular. If you think your deck may have lead paint, e-mail me — jfinlay@archadeck.net. Disposal would be more complicated, but possible.